Create Space was featured Midwest Home’s blog as part of their review of area DIY studios. 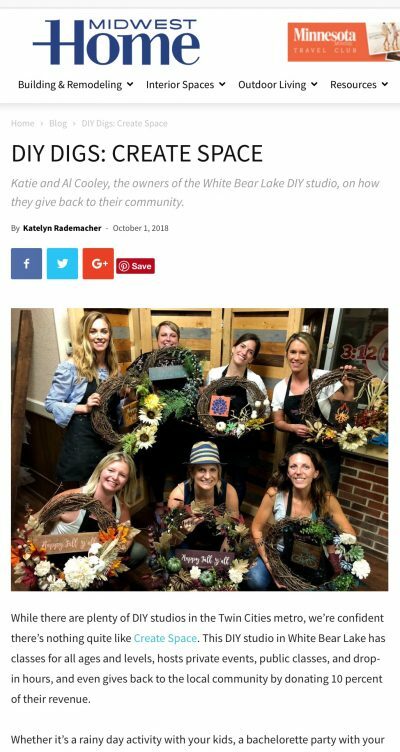 You can read the full write-up in their incredibly kind article at https://midwesthome.com/blog/diy-digs-create-space/. Previous post: Create Space is Growing!